Imagine calling this beautiful 2016 one-story ranch in Welchester Estates your home! The floorplan boasts an open layout with 9 ft ceilings and upgrades galore! 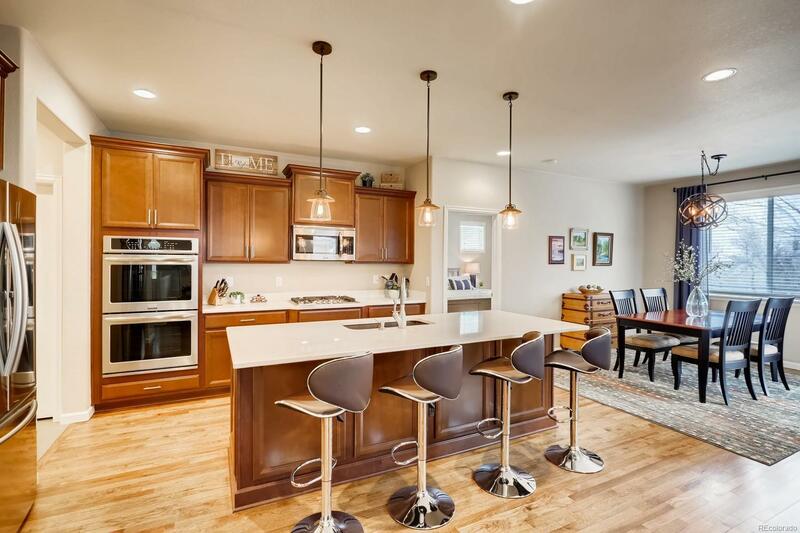 From gorgeous hardwood and tile floors, to quartz countertops, cherry cabinets, stainless steel appliances including gas stove, and a massive kitchen island with granite composite sink! Main floor living at its best with laundry easily accessible off the kitchen. Step outside onto the private, covered deck and admire the open space and mountain view! The finished walk-out basement, also with 9 ft ceilings, has a spacious rec area, great for entertaining! South facing driveway is perfect for CO winters. Donât miss this opportunity to buy an almost new, turn-key home! Conveniently located close to Welchester Tree Grant Park, CO Mills Mall and 6th Ave.